Eight social enterprises are collectively attempting to raise $200,000 through a Dreamstarter crowdfunding initiative. The latest round of ING DIRECT’s Dreamstarter crowdfunding project, run in partnership with StartSomeGood and the School for Social Entrepreneurs, has focussed on community issues including food waste, children’s education and Indigenous health and nutrition. In exchange for pledging, supporters could receive anything from “eternal gratitude” and a social media shout-out, to a selection of body care products and the opportunity to collaborate on a children’s story book. 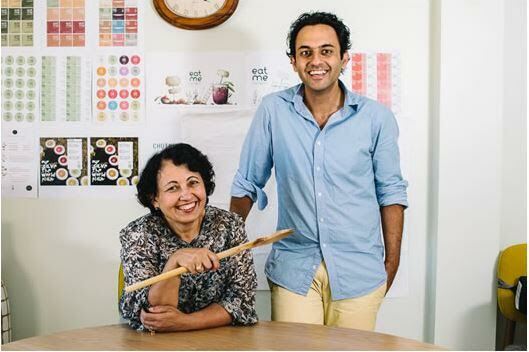 Mother and son team, Jaya and Ankit Chopra, run Sydney-based social enterprise Eat Me Chutneys that rescues food earmarked for the scrapheap and turns it into rescued chutneys. They are aiming to crowdfund $50,000 to purchase a van and high-grade kitchen equipment to increase the capacity of their operation. “In Australia an estimated $10 billion of food is wasted each year, including up to $5 billion of fresh produce. We rescue this bruised, wonky and unloved fruit and veg and turn it into what we call ‘rescued chutneys’,” Ankit Chopra said. Under the Dreamstarter initiative, Eat Me Chutneys will need to crowdfund 50 per cent, $25,000, of their goal to reach the “tipping point” to receive seed funding from ING DIRECT. The other projects chosen for this round of Dreamstarter projects are Care Two Dance, a dance school that provides mentoring to children in need, Fergus & Delilah, a picture book to help children understand disability, Little Makers Club, where children create their own electronic and hardware projects, Power Parcel, a subscription box featuring social enterprise creations, Taste Cultural Food Tours, showcasing multicultural small businesses, Wash Away Poverty, an organic body care range that helps fund water aid projects, and Wirra Sports Program, where Aboriginal mentors deliver fitness and health messages to Aboriginal children. The latest round of crowdfunding is open until 18 November.